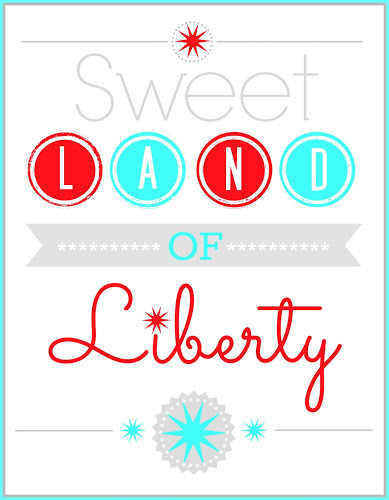 I love creating just about anything for every holiday, but the 4th of July is especially fun! It might have something to do with my birthday being the day after, but I've always had an extra special place in my heart for fireworks, patriotism, and of course the red, white, and blue! I'm kind of on a star kick lately. If you visited me last Friday, then you saw my matchbox printables I shared over at twelveOeight, and the stars on today's printable may look a bit familiar. I really do love this prosperous, free, beautiful land I'm so blessed to call home! There are amazing places to travel, and new things to see, but nothing beats home sweet home! 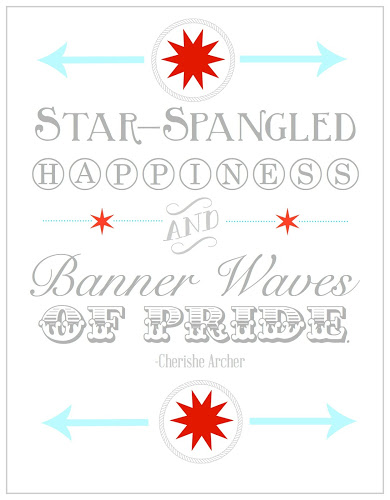 And here are a few other patriotic printables from last year you can check out.